According to the Asia Pacific Foundation of Canada, around three million Canadians work abroad doing everything from helping to launch start-up companies in the developing world to managing multi-national corporations. 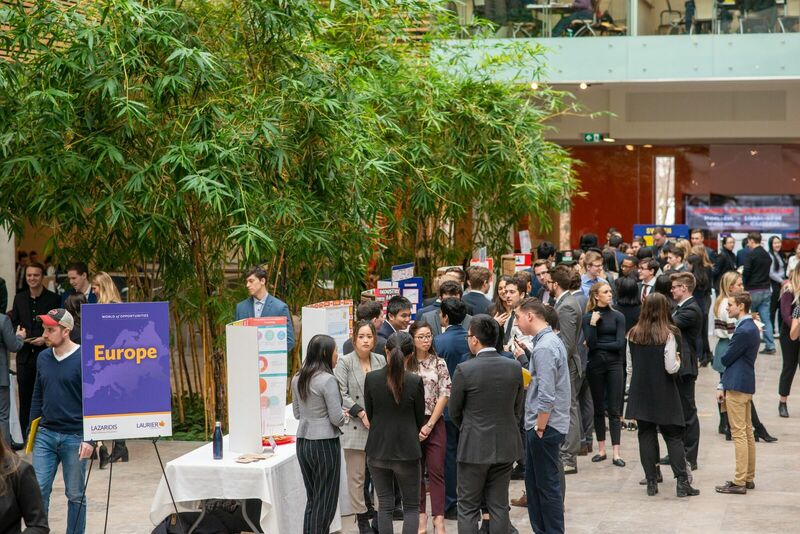 On Feb. 9, more than 400 fourth-year BBA students got a glimpse of what their future careers could look like at the World of Opportunities event hosted in Lazaridis Hall. The objective of the day was to expose soon-to-be graduates to the possibilities of global employment and the doors that are open to them when they’re armed with a Lazaridis BBA and a passport. Broken into two parts, the World of Opportunities’ first half featured guest speakers who have worked abroad and have returned to Canada to share their insights, hints and tips with our students. Guest speaker Christian Morton, Lazaridis MBA ’10 spoke about his experiences representing a Canadian company in the United Kingdom and Japan. “While I was overseas with Blackberry, one of the biggest challenges I faced was figuring out how to manage cultural expectations while also making good business decisions. “If travel is something you’re interested in doing, let your boss know right away. They will remember that when the time comes to approach people for international opportunities,” says Morton. Morton also described the benefits of working abroad as being immense, not only for the opportunities that exist in other countries, but also those waiting for you back in Canada. The students also heard from Sarah French and Mary Fehr, two women who worked for the Mennonite Economic Development Associates (MEDA) to help women start companies in Tanzania and Ghana. “The biggest thing to remember when working abroad – especially in developing economies – is to not get too focused on the money being invested. It’s better to track performance through constant assessment when heading towards a goal,” says French. 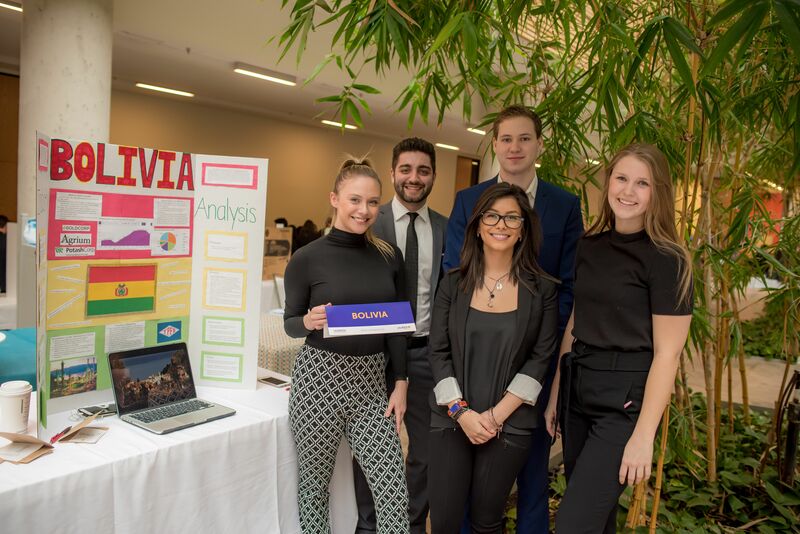 The second part of the day shifted the focus to the students as they showcased countries from around the world and presented their respective business opportunities to a panel of judges. BBA professor, Anne Domurath says this format allows for the most countries to be covered in the shortest amount of time. The judges had a difficult time deciding which teams to honour with finalist placements given the high quality of research done by each team. “I was really impressed with the amount of learning the students have done for this project. Team Nigeria knew more about that country than I did – and I’m from there!” says judge, Elizabeth Olatunde. This event was also a bittersweet one for the BBA students who, for the last four years, have taken part in a huge number of group presentations, competitions and events. The World of Opportunities represents one of the last times they will be all together as a class. 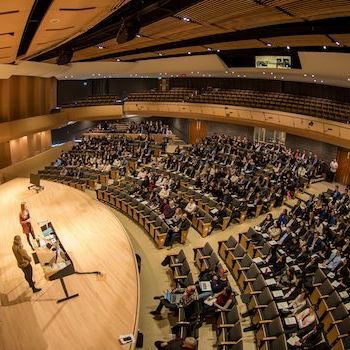 As the other half of the fourth-year BBA class is on their co-op term, the second round of World of Opportunities will be on May 31, 2019. For more information about the event or to put your name forward to be a guest speaker or judge, contact Prof. Carmel Branston.